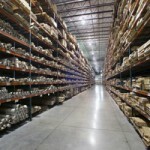 In conjunction with the very best area Systems integrator, we offer our customers a complete line of warehouse racking and shelving products. We will work with you from the project start to finish providing product specification, design, and installation. 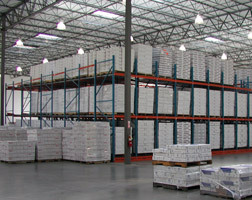 We will help you maximize the storage capacity of your warehouse. 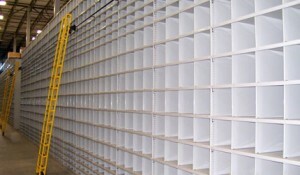 Many shelving options are available and our industrial engineers will help you find the right shelving option for your storage needs. 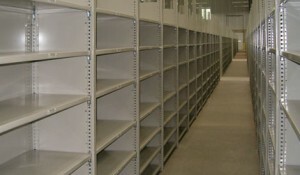 Some options include open shelving, closed shelving, and bin shelving. 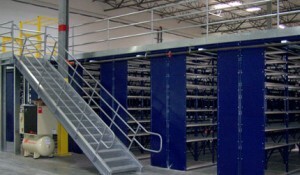 We also design mezzanines for additional storage or office space. We repair bent uprights, and beams. 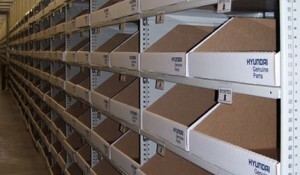 Rack Protection – protect your racks and product from forklift damage. 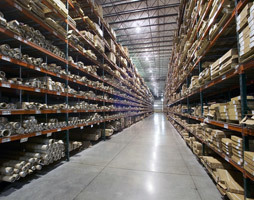 Contact a Forklifts of Toledo sales representative for more information on racking, shelving, rack repair and rack protection products.